Woody Allen’s most recent drama, Blue Jasmine, is ninety-eight minutes of pure hysteria, with only a few glimmers of Allen’s signature comedic flare. Jasmine, a former couture-wearing, Manhattan-residing socialite, is hit hard with deeply unfortunate circumstances. Her womanizing husband Hal, played by Alec Baldwin, was caught in the financial schemes that provided their extravagant lifestyle, and Jasmine is left penniless, homeless and alone. Jasmine journeys to San Francisco to live with her sister Ginger, who is played by Sally Hawkins, and here Jasmine gets her first taste of blue-collar living. Allen conveys Jasmine’s interpersonal struggles in a blunt fashion, which makes the film so effective. There is no true resolution, no true catharsis, making the film difficult to digest at the end. 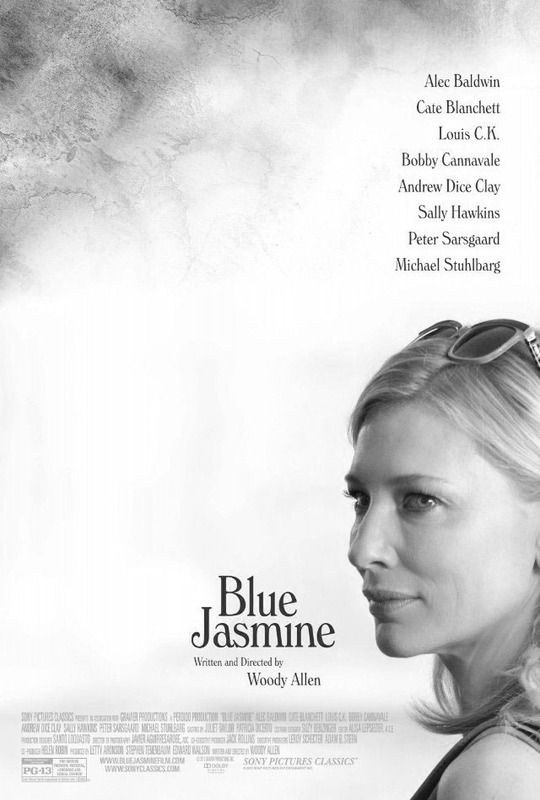 Despite all of this, Blue Jasmine has a strangely comical and quirky presence that is so familiar to Allen’s films. She is unfamiliar with technology, menial work, and interactions outside of high-class society. What she does know, however, is how to dress, speak, and woo a man with her classic charm and endearing demeanor, contrived as it may be. Blue Jasmine is a realistic portrayal of a woman preoccupied with false perceptions of her life, which creates an out-of-body viewing experience. Jasmine never escapes her fixed state of panic long enough to meaningfully experience any other emotions. The film is primarily concerned with brokenness and the helpless deterioration of an individual’s mental health. Because of this, Blue Jasmine is realistic, intimately relatable, and pathetically heartbreaking. Allen has explored this archetype of the broken woman in previous films such as Vicky Christina Barcelona, Melinda and Melinda, and Husbands and Wives, but Jasmine is perhaps the rawest of his characters thus far. Blanchett’s performance in Blue Jasmine is a tour de force, dizzying in its ability to explore and provide a wide range of human emotions. Blanchett portrays Jasmine as she gulps down wine bottles and prescription medication, perspires through her designer clothes, and suffers from several nervous breakdowns. One familiar with Tennessee Williams might notice that Blue Jasmine is a loose spinoff of his play A Streetcar Named Desire. The storylines run parallel to one another in that they both depict a struggling female protagonist—made delusional by alcoholism and the dissipation of a once grandeur lifestyle—who sets out to live with a distant sister while attempting to reconstruct her life and social status. Despite Jasmine’s amalgamation of flaws, the presentation of her character is remarkably sympathetic. Jasmine’s actions embody the way that we cope with mental illness, with loss, and how we tell ourselves lies in some flailing attempt to ameliorate difficult situations. As a whole, Woody Allen’s Blue Jasmine is brilliant, disturbing, and tragic, but it is Blanchett’s performance that truly sets it apart.